Diagnostic histopathology services are offered to vets working in practice at competitive rates. 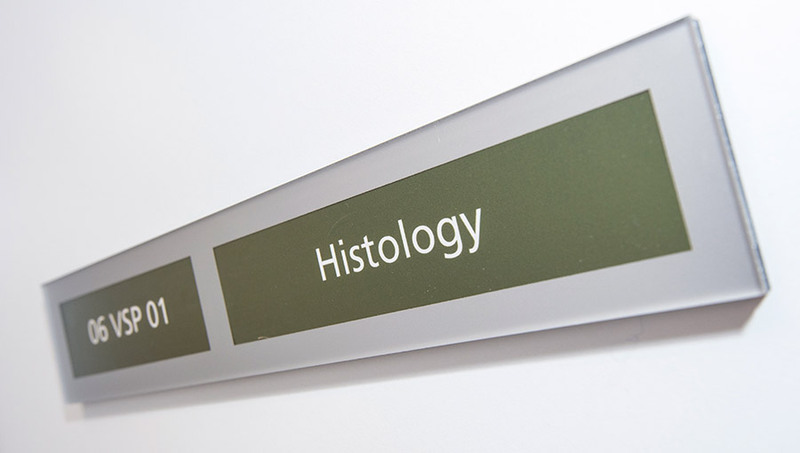 We also offer histological processing and interpretation for research purposes from internal and external sources. Our Veterinary Pathology Centre has a team of board-certified pathologists and highly skilled technicians, with expertise in small animal, exotics, equine and farm animal pathology. Our dedicated team will ensure that work is carried out on time and within budget. Pricing is valid from March 2019 and may be reviewed annually. Prices for diagnostic histopathology are based on numbers of tissues or sites sampled. Prices for research histopathology vary depending on the degree of processing and interpretation required. For an overview of sample submission please see our guidelines. There are also additional information sheets to provide guidance for skins and ocular pathology submissions. If you are unsure about how best to submit a sample, please call us to discuss. A downloadable submission form is available and can be used for any species. A completed printed version should be included with any sample submitted. Our turn-around time for routine histopathology is two to three working days from receipt. Discounts may be negotiable for practices and researchers where sufficient numbers of cases are required. All specimens should be fixed in at least 10 x tissue volume of 10% neutral buffered formalin in a sealed screw-top container. Identifiers, e.g. owner name and animal name, should be written on the sample pot to allow identification and, where multiple sites or tissues are sampled, these should also be indicated to correlate with information you provide on the submission form.